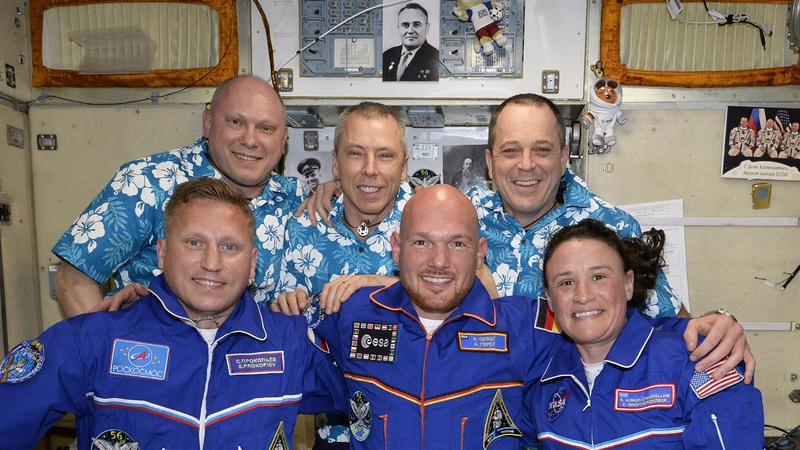 Alexander Gerst ist von seiner zweiten ISS-Mission zurückgekehrt, seine Zeit als Kommandant ist vorbei. Doch für ihn war das noch lange nicht alles. 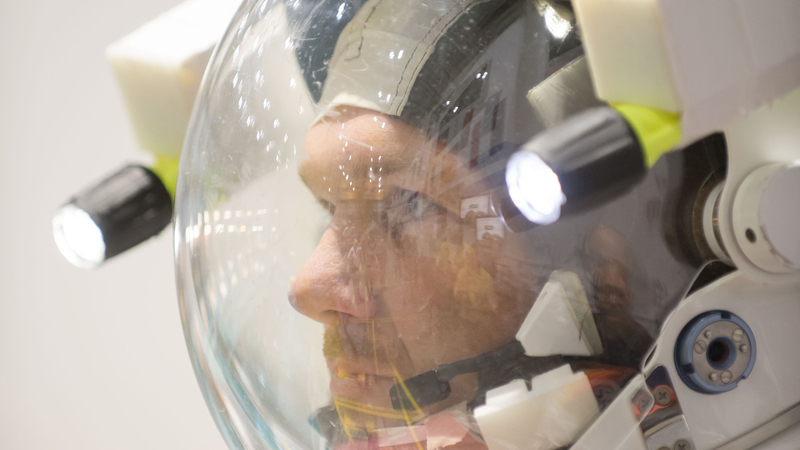 Der Astronaut im ZDF-Interview. NASA’s InSight Mars lander is officially hunting for quakes on the Red Planet. The lander’s ultrasensitive seismometer, called the Seismic Experiment for Interior Structure (SEIS), has passed its initial tests and is working working well, according to the French space agency CNES, which built the lander’s instrument. Wenn eine Raumsonde zur Landung ansetzt, ist stets die Frage, wie die Daten zur Erde kommen. Zumeist verfügen Landekapseln nicht über so starke Sender, um ihre Daten direkt nach Hause zu funken. 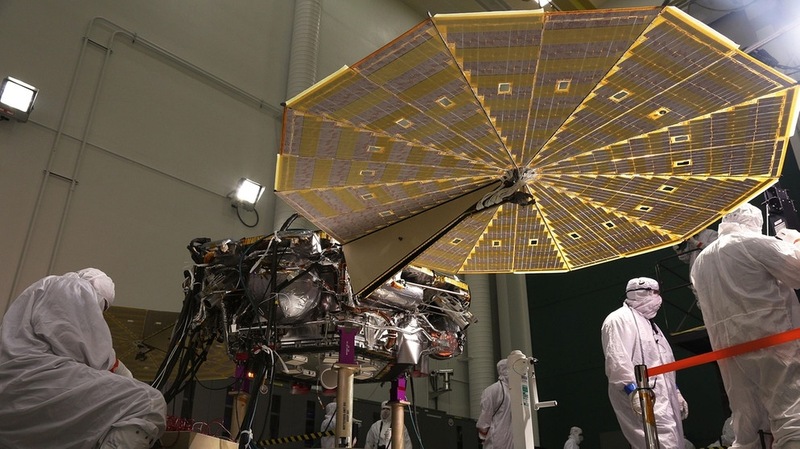 The U.S. government may be in partial shutdown mode, but operations to configure instruments critical to NASA’s InSight mission on Mars are right on schedule—and things are going swimmingly, as the latest mission update attests. 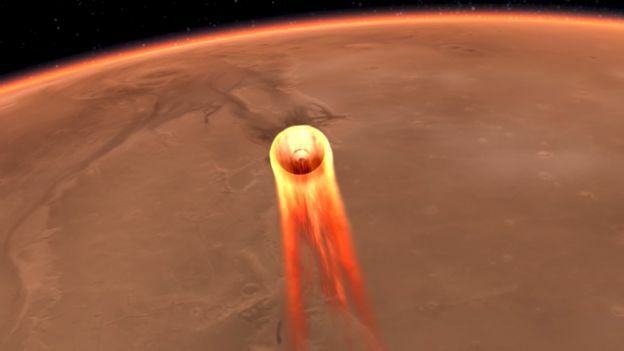 Our last update from the InSight mission came on December 20 following the probe’s successful deployment of the SEIS instrument, or Seismic Experiment for Interior Structure, onto the Martian surface. The configuration of this hexagonal-shaped device is still ongoing, but an update from the SEIS team shows things are proceeding as planned. Over the last several weeks, mission engineers have leveled the seismometer, manipulated the cable connecting InSight to the device, and—most importantly—balanced three of the instrument’s six internal seismic sensors, while also confirming their functionality. Ein Dragon-Frachtraumschiff ist am Sonntagabend gegen 21.10 Uhr Ortszeit (Montagmorgen 6.10 Uhr deutscher Zeit) von der Internationalen Raumstation ISS auf die Erde zurückgekehrt. In russischen Medien sind Spekulationen über einen Ein-Jahres-Flug von US-Astronaut Nick Hague (Foto) in der Internationalen Raumstation ISS aufgetaucht. Hague soll im März zusammen mit dem russischen Kosmonauten Alexej Owtschinin und seiner Landsmännin Christina Koch mit dem Raumschiff Sojus MS-12 zur ISS fliegen. The Expedition 58 crew members started Tuesday with an emergency drill before splitting up for more space research and hardware maintenance. Commander Oleg Kononenko led Flight Engineers Anne McClain and David Saint-Jacques through a simulated emergency this morning aboard the International Space Station. The trio practiced communication and coordination with Mission Control Centers in Houston and Moscow. Researchers examining data produced by small satellites launched in 2016 to track ocean winds were surprised the mission produced valuable information on soil moisture and flooding. NASA’s Cyclone Global Navigation Satellite System, a constellation of eight 30-kilogram satellites built by the Southwest Research Institute and the University of Michigan, observed the Amazon River basin in far more detail than NASA’s Soil Moisture Active Passive mission even when SMAPs radar still worked. Das Schmelzen von Gletschern infolge des Klimawandels ist längst Realität. Die genaue Messung dieses Prozesses ist allerdings schwierig. Jetzt haben Wissenschaftlerinnen und Wissenschaftler Daten von zwei deutschen Radarsatelliten sowie ältere Daten einer Shuttle-Mission ausgewertet, um die Massenverluste von Gletschern in Südamerika zu messen. Watch China Land on the Moon’s Far Side in This Awesome Video! A spectacular new video gives a lander’s-eye view of the first-ever touchdown on the moon’s mysterious far side. The nearly 3-minute video was captured by China’s Chang’e 4 mission, which landed inside the 115-mile-wide (185 kilometers) Von Kármán Crater on the night of Jan. 2. Scientists have used photos captured by NASA’s Lunar Reconnaissance Orbiter (LRO) to further pinpoint the landing locale of China’s Chang’e 4 far-side mission. Looking at the just-released Chang’e 4 descent imagery allowed researchers to find the exact landing spot in a Narrow Angle Camera image produced by the Lunar Reconnaissance Orbiter Camera, or LROC. That image was taken prior to Chang’e 4’s touchdown, explained LROC principal investigator Mark Robinson, who’s based at Arizona State University in Tempe. China’s Chang’e 4 lander and rover are now getting cold-soaked, as darkness falls on their touchdown site on the far side of the moon On the night of Jan. 2, the Chang’e 4 mission softly touched down inside the 115-mile-wide (186 kilometers) Von Kármán Crater, which lies within the huge South Pole Aitken Basin in the moon’s southern hemisphere. Vor 15 Jahren, am frühen Samstagabend des 10. Januar 2004, saßen und standen über ein Dutzend Wissenschaftler dicht gedrängt in einem winzigen schmucklosen Raum im DLR-Forschungszentrum Berlin-Adlershof und starrten gebannt auf zwei Monitore. Sie erwarteten die ersten Bilder „ihres“ Experiments, der High Resolution Stereo Camera (HRSC). A Japanese spacecraft will aim to snag the first samples of its target asteroid next month. The Hayabusa2 probe, which has been studying the diamond-shaped asteroid Ryugu up close since late June, will swoop down to the 3,000-foot-wide (900 meters) space rock’s surface for the first time during the week of Feb. 18, mission team members announced via Twitter Wednesday (Jan. 9). Here’s something you don’t see every day: Earth, the moon and a potentially dangerous asteroid, all in the same frame. NASA’s OSIRIS-REx probe captured the photo on Dec. 19, when it was about 71 million miles (114 million kilometers) from its home planet but much closer to the space rock Bennu. On May 25, 2008, NASA’s Phoenix Mars Lander blazed through the Martian atmosphere and landed at the northern pole of the Red Planet. The spacecraft made history as its robotic arm was the first to touch and sample water on Mars. During the lander’s three months on the Red Planet, Phoenix revealed an unprecedented amount of information about the Martian environment. Der Saturn-Mond Titan ist zwar von einer dichten Atmosphäre umgeben, aber mit Hilfe der Infrarot-Augen der internationalen Cassini-Mission offenbaren sich in diesem umfassenden Mosaik die unzähligen Oberflächenmerkmale des Mondes. The spacecraft that have peered through the yellowish haze surrounding Saturn’s moon Titan discovered a strange, yet strangely familiar world where life could theoretically take root. Now, scientists want to return — this time buoyed by Earth’s fascination with drone technology. Die Mission des Transiting Exoplanet Survey Satellite der NASA, kurz TESS, kann sich über die ersten drei bestätigten Exoplaneten freuen. TESS sucht mithilfe der Transitmethode nach fernen Welten um helle Sterne. Bevor eine Entdeckung als gesichert gilt, muss sie durch weitere Beobachtungen bestätigt werden. Für über 280 von TESS aufgespürte potentielle Planeten läuft diese Überprüfung noch. NASA’s Transiting Exoplanet Survey Satellite, TESS, has discovered a third small planet outside our solar system, scientists announced this week at the annual American Astronomical Society meeting in Seattle. The new planet orbits a nearby dwarf star about 53 light years away, in the constellation Reticulum. It looks to have the longest orbital period of the three planets identified so far by TESS. The three planets discovered by TESS in its first three months of operation each have unique characteristics and orbits. Der Chef des russischen Raumfahrtstaatskonzerns GK Roskosmos, Dmitri Rogosin, hat angekündigt, dass die Ergebnisse der Untersuchung zu dem Loch in der Internationalen Raumstation ISS in den „nächsten Wochen“ vorliegen werden. What’s Next for Air Force Weather Satellites? The U.S. military’s highest priority weather satellite, a spacecraft requested by U.S. Strategic Command to observe clouds and theaters of operations, is on hold after NASA rescinded the contract award. Der Chef der US-Luft- und Raumfahrtbehörde NASA, Jim Bridenstine, hat eine Einladung des Generaldirektors des russischen Staatskonzerns GK Roskosmos, Dmitri Rogosin, zu einem Besuch Russlands oder des Kosmodroms Baikonur (Kasachstan) angenommen. During the conversation, Dmitry Rogozin and Jim Bridenstine stressed that Roscosmos and NASA are committed to the goal of space exploration,“ Roscosmos said. „They agreed to continue cooperating, both on the program of the International Space Station and Moon exploration projects, and on other missions of exploring outer space. NASA hasn’t been totally grounded by the government shutdown. The partial shutdown — which is the nation’s longest ever, at 24 days and counting — has of course had a serious impact on the space agency. More than 95 percent of NASA employees have been furloughed, and development work on most future space missions has been slowed or suspended. Forscher entwickeln derzeit eine Raumsonde, die eine sehr lange Zeit im Weltall agieren können soll. Wine soll Wasser aus Himmelskörpern fördern und dieses in Dampf umwandeln, der die kleine Sonde vorantreibt. Ein erster Test auf der Erde sei bereits erfolgreich gewesen. This year, ESA’s ground station boffins are planning to deploy a new cryogenically cooled ‚antenna feed‘ – a gizmo used to transmit and receive deep space signals – on the Agency’s three deep-space antennas. The ground stations routinely communicate with missions like BepiColombo – heading to Mercury, Gaia – surveying stars in our Galaxy, and ESA’s two spacecraft at the Red Planet, Mars Express and the ExoMars Trace Gas Orbiter. All 10 Iridium Next satellites were successfully deployed. A used SpaceX Falcon 9 rocket lofted 10 final Iridium Next satellites into orbit today (Jan. 11), completing a two-year, eight-launch contract between the two companies. SpaceX has built itself a shiny new rocket. Assembly of the test-flight version of SpaceX’s Mars-colonizing Starship vehicle is now complete, SpaceX founder and CEO Elon Musk announced Thursday night (Jan. 10). The suborbital, hopping rocket is a sleek, shiny craft with three prominent fins that end in landing pads. NASA still hasn’t launched its new James Webb Space Telescope (JWST), a successor to the beloved and aging Hubble Space Telescope. But the agency is already preparing for an even bigger and better space observatory to eventually replace JWST. Despite recent issues with one of its instruments, the Hubble Space Telescope is expected to last at least another five years. A new report suggests that the iconic spacecraft has a strong chance of enduring through the mid-2020s. Come one, come all and behold the future of space travel: steam power! No, seriously; half a century after the world’s first manned space mission, it seems that interplanetary travel has finally entered the steam age. Scientists at the University of Central Florida (UCF) have teamed up with Honeybee Robotics, a private space and mining tech company based in California, to develop a small, steam-powered spacecraft capable of sucking its fuel right out of the asteroids, planets and moons it’s exploring. Die Weltraumsicherheit ist mit zahlreichen Themen wie dem Umgang mit Weltraumtrümmern, der rechtzeitigen Warnung vor Auswirkungen des Weltraumwetters oder der Aufspürung und der Bahnablenkung von Asteroiden ein aufstrebendes Gebiet, dem im Vorschlag des ESA-Generaldirektors für die nächste Ministerratstagung „Space19+“ im November 2019 Rechnung getragen wird. Der US-Raumfahrtkonzern SpaceX will seine Belegschaft um rund zehn Prozent verringern. Das bedeute die Entlassung von etwa 600 Mitarbeitern, teilte die Los Angeles Times mit. SpaceX is laying off about 10 percent of its workforce, a cost-cutting move the company says is required to focus on development of its next-generation launch system and a broadband satellite constellation. In a statement late Jan. 11, the company confirmed that SpaceX is laying off a portion of its workforce. It is the first large-scale reduction of its workforce since the company was founded in 2002, although the company did fire several percent of its employees in 2014, a move that the company said at the time was based on performance reviews. This article was originally published at The Conversation. The publication contributed the article to Space.com’s Expert Voices: Op-Ed & Insights. The New Horizons spacecraft, which flew past Pluto in 2015, successfully completed a flyby of „Ultima Thule,“ an object in the Kuiper belt of bodies beyond Neptune on January 1, 2019. The name Ultima Thule, signifying a distant unknown place, is fitting but it is currently just a nickname pending formal naming. The official names of the body and of the features on its surface will eventually be allocated (this could take years) by the International Astronomical Union (IAU), which celebrates its centenary in 2019. For freshly grown produce, space is truly the final frontier. But even astronauts will soon be able to abide by their mothers‘ exhortations to eat more veggies. Following the much-celebrated harvest of a head of romaine lettuce aboard the International Space Station (ISS) in 2015, astronauts‘ vacuum-packed vittles may be kicked up a notch as early as 2021 with the addition of space-grown beans. More salad fixings are also in the cards. After that? The galaxy’s the limit. Astronomers know our solar system better than any other, but they’re still learning new ways in which it doesn’t seem to be particularly normal. One such quirk, in patterns of planetary sizes, was the subject of a news conference held yesterday (Jan. 8) at the annual meeting of the American Astronomical Society. The results could prompt scientists to revise a leading theory of how planets form. Die fast vegetationslosen Steinwüsten Marokkos mit ihren rötlichen Bergrücken haben eine verblüffende Ähnlichkeit mit dem Mars. Sie sind daher ideal zur Erprobung von Software und Technologien, die einmal bei der Erforschung des Roten Planeten zum Einsatz kommen könnten. Genau solche Tests führten europäische Wissenschaftler im Dezember erfolgreich durch. Junge Sterne können durch ihren Sternwind dafür sorgen, dass keine weiteren Sterne mehr entstehen. Das ergaben Beobachtungen im Orionnebel mithilfe des Stratosphären-Observatoriums für Infrarot-Astronomie SOFIA, eines Teleskops im Jumbojet. Bislang hatte man angenommen, dass eher Ereignisse wie Supernova-Explosionen für die Regulierung der Sternentstehung verantwortlich sind. The first human colonists on Mars will have to forgo many of the creature comforts of Earth — things like enjoying an ozone layer, for example, or opting out of rearing genetically engineered Martian babies. Fortunately, one essential earthly amenity these hardscrabble colonists may not have to give up is wine. Georgia, a country with an 8,000-year-old viticulture tradition, is putting its top space and wine scientists to work figuring out how to grow grapes on Mars. Dieser Eintrag wurde unter Newsletter, Raumfahrt, Spacecraft Mission News veröffentlicht und mit Alexander Gerst, Astro_Alex, Chang'e 4, China, Hubble, International Space Station, Internationale Raumstation, ISS, Mars, Mond, Moon, NASA, NASA InSight, NASASofia, Newsletter, SOFIAtelescope, Spacecraft Mission News verschlagwortet. Lesezeichen für Permalink hinzufügen.